In the old days, matching paint colors was a hit-or-miss process. Paint technicians would scour the catalogs of body paint suppliers to find the original color and order the paint. For custom colors, they would manually mix paints together by hand. The results always varied drastically depending on the color and the skill of the technician. Our auto body experts use sophisticated technology tools to create perfect color matches. Today’s auto paint specialists rely on new high-tech tools such as spectrophotometers and mobile technologies called color finders. Spectrophotometers use measures of light wavelength to match the color. Handheld spectrophotometers have made it even more convenient with built-in cameras to identify colors in paint systems. Mobile color finders harness smartphones and tablets to access catalogs of paint manufactures online. These portable devices enable our auto body paint pros to be quick and accurate. Attaining a precise color match does not automatically ensure that it will look the same as the original paint. Viewing the paint from different angles. Type of paint gun the technician uses. Mixing volume set on the spray nozzle. The angle at which the technician applies the paint. A high-performance paint sprayer to ensure the right mix comes out of the nozzle. After mixing the correct paint color, we spray a paint sample on a car and let it dry. If needed, we will tweak the formula and repeat. 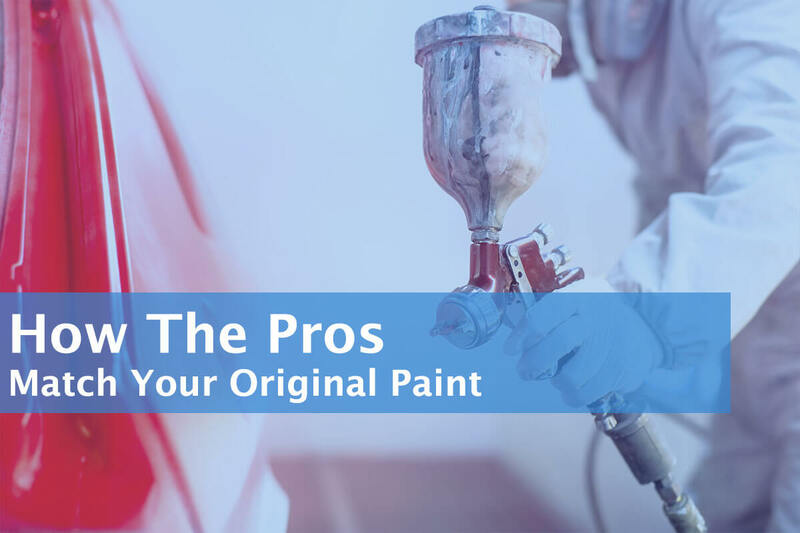 When spraying the paint, the technician also sprays the new color into the other areas of the panel being repaired so that it gradually blends into the existing color. Auto body painting has evolved quite a bit in the last twenty years. Paint matching and application technologies continue to evolve, making the ability to achieve perfect color matches seamlessly.